Literary Agent Undercover helps authors of all book genres (fiction, nonfiction, and children’s books) secure representation with top literary agencies, resulting in book deals with traditional publishers (e.g. Random House, Simon & Schuster, Ballantine, Scholastic, Hyperion, Entrepreneur, Prentice-Hall, etc.). Founded by former NY Times bestselling literary agent Mark Malatesta, Literary Agent Undercover is the most trusted resource for authors looking for insider information about how to land a top book agent. Literary Agent Undercover is for authors that want to get paid to publish their books… instead of pay to publish them: 1) Unpublished authors that are just getting started, 2) Self-published authors who now want to find a real publisher, and 3) Previously published authors that have lost their agent and/or publisher and want to find a new one. Literary Agent Undercover is only for authors who understand the benefits of traditional publishing: no financial risk because someone else is paying for the privilege of publishing your book; a higher quality product thanks to a top-notch editor and cover designer; more profit due to better sales, distribution, and publicity; subsidiary rights opportunities like merchandising, translations, TV, feature film, etc; increased credibility and more book reviews; and the ability to spend more time writing, promoting, and doing what you love. To help authors achieve these goals, Literary Agent Undercover offers a free weekly newsletter, insider articles, audio and video training (including interviews with top literary agents), online Directory of Literary Agents, an interactive “Ask a Literary Agent” area on the website, and 1-on-1 consulting. Literary Agent Undercover works with authors around the world, writing in every genre: fiction, nonfiction, and children’s books. 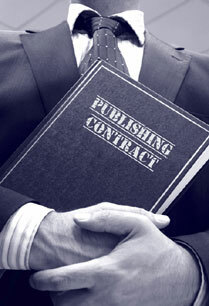 As an agent, Mark secured contracts with publishers like Simon & Schuster, St. Martin’s, Hyperion, Prentice-Hall, Workman, Andrews-McMeel, Entrepreneur, Barron’s, Amacom, and many more… resulting in millions of books being sold, as well as works being picked up for TV, stage, and feature film (with companies like Paramount Pictures and DreamWorks). Mark’s authors have gotten 6-figure advances, been on the NY Times bestseller list, been licensed in more than 30 countries, and won national and international awards and honors. Established in August 2011, Literary Agent Undercover has already helped dozens of authors (in the United States and abroad) get the attention of literary agents and/or get book deal with major publishing houses. During the early launch period (first 12 months) of Literary Agent Undercover, Mark spent a great deal of time creating all of the valuable information that you see here on this website, including his extensive Directory of Literary Agents. Now that Literary Agent Undercover is more established, Mark is looking forward to working with more 1-on-1 with coaching clients, as well as speaking at more events. Mark often travels with his wife Ingrid Elfver who is a special adviser to Literary Agent Undercover and consults some of Mark’s high profile clients.